Black tea is graded into various grade based on the production process and leaf size. This article is going to introduce you the main ways of grading black tea and some relevant terminology. Black tea originated in China and the world’s earliest black tea, Lapsang souchong, was cultivated by tea farmers in Wuyi mountain area, Fujian, China in ancient time. Black tea is a type of completely fermented tea which is more oxidized than oolong, green and white teas. All teas derive form Camellia sinensis which is an evergreen plant that grows mainly in tropical and subtropical climates. The main processing steps involved with black tea are withering, rolling, fermenting and drying. Black tea got the “black” in its name for its dry leaves and liquor which tend to be (deep) red in color. There are many kinds of black tea widely distributed in China, among them Keemun black tea, Kungfu black tea and Souchong have gained wide acclamation for their good flavor. Besides, India black tea and Sri Lanka black tea (both are introduced from China) are also world-famous. Tea is sorted into various grades. These grades are not standardized worldwide and may vary according to origin. A tea&apos;s grade does not necessarily indicate flavor or quality, since tea quality has close relationship with the variety of tea, the tea garden or estate, the elevation, picking time and the processing after harvesting. With regard to black teas, most of them are graded and sold according to the leaf size and particle size. Some premium black teas have words like “Tippy” or “Golden” in their name, generally, these teas are not suitable for the common grading standards since they make up just a small part of the total world’s tea output. Words “Special” (S for short) and “Fine” (F for short) are also often used on labels or packages by producers, strictly speaking, they are not for grading purpose but for commercial reasons. The harvesting and manufacturing of tea has a great impact on the finished size of the leaf, thus the tea grade. Tips (also known as “golden tips” or “silver tips”) are the small, unopened leaves of the tea plant. These tips are also commonly known as “buds,” although they do not form flowers. They are considered to be better quality than the larger, older leaves of the plant and cost more due to their heightened harvest/production cost. 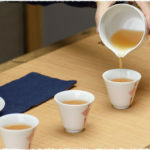 When a tea has many tips, it is called “tippy.” Some tealeaves (such as Silver Needle white tea) are made entirely of tips. ORANGE PEKOE Consists of fine, tender, young leaves rolled with a certain proportion of “tips” which being the very ends of the bud&apos;s leaves constitute a guarantee of quality. common broken pekoe grade. Consists of tiny, broken black tea leaves. and broken with some tips. 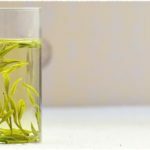 grade tea with uneven leaves and few tips. leaves with a high proportion of tips. 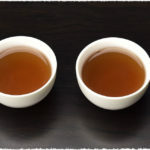 Occasionally the number &apos;1&apos; or &apos;2&apos; may be placed at the end of the letters to designate better grades among similar teas. Made from smaller, flat pieces of broken orange pekoe and used to make quick-brewing, strongly flavored, robust teas with good color. tea with few added ingredients, uniform particle size, and no tips. Tiny bits of broken leaf used to brew strong tea quickly, popular for black tea bags. The term OP here is not related to tea variety or tea taste. Although the word “orange “is used, the whole phrase has nothing to do with orange flavor. It merely refers to the size and shape of black tea leaves. What exactly does OP mean？The most common explanation is that it refers to those thin and straight leaves of about 7-11 mm with white fuzz (tips), after brewing, they can present pale orange liquor. BOP is generally interpreted as those OP grade leaves which have been cut into smaller pieces with 2-3 mm in length. The finished broken leaves contain the largest number of tender buds when compared with others. But the criteria of BOP grade are not standardized worldwide and may vary according to different conditions such as, different producing areas and harvesting seasons. The processing of OP tea is different from that of BOP; the latter is produced by crushing the OP leaves with heavy pressure. Fanning (F) tea is smaller than BOP tea. This is a broken leaf about the size of a pin head (1-2 mm).The BOPF tea liquor tends to be darker than others and commonly used for making black tea bags. Dust (D) is the lowest grade of tea available if produced by CTC method of manufacturing and Dust if produced by the Orthodox Method. This size is literally the smallest broken pieces left after siftings, sometimes called the &apos;sweepings&apos; and only used for tea bags. The CTC (crush, tear, curl) （碎、撕、揉） method has been gaining in popularity because of its efficiency and convenience. CTC processed teas may be either hand plucked or harvested by machinery. When machine harvested, the CTC process gathers the traditional top two leaves and bud as well as other leaves on the tea bush. The leaves are then processed through the CTC machine and they always have broken sizes.